Each year we welcome our scholars back to school with a week of activity we call “Prep Academy.” It’s a time for our scholars to refocus after being away from school for the summer and build relationships with their new teachers. 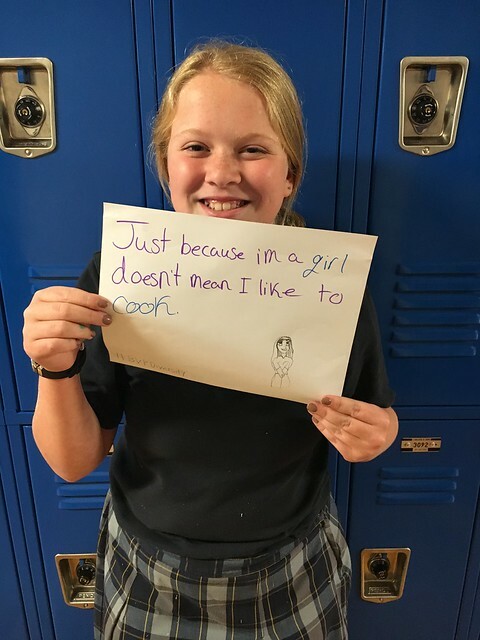 In addition to getting them ready for the year’s curriculum, Middle School 1 teachers and staff also spend time promoting an inclusive school culture that includes encouraging scholars to think independently about the world around them and further build their self-confidence. Embracing diversity is a BVP organizational priority so it’s natural for some of these conversations to revolve around celebrating diversity and facing stereotypes. As part of an activity that scholars participated in, we asked them to “squash” a stereotype has been applied to them. The result is an installation of photos covering a wall at Middle School 1 full of smiling scholar faces and signs addressing the assumptions that people have made about them. It is our hope that by having these important conversations with our scholars that they grow up knowing that they are not defined by the assumptions others make about them. Equally important, we hope to illustrate for them how damaging it can be to make assumptions about others.